Clive Tan is the author of Value Investing for Employees: How Anyone Can Easily Build a Million Dollar Net Worth Holding a Regular 9-5 Job. Clive learnt his investing skills personally from Curtis Montgomery, an American value fund manager, who was the most successful audited value investor in Singapore. Being very motivated to learn from the best, Clive even offered to work for Curtis Montgomery for free just so that he could pick up key investment strategies and speed up his learning curve. During a 5 year period, Clive applied what he learned in investing and accumulated enough investment returns with that short timeframe to successfully launch his first business Curious Minds Childcare Pte Ltd.
Today, Curious Minds Childcare is a successful and profitable business. With his business profits and passive income from his investments, Clive is free to pursue whatever work or interest he chooses. 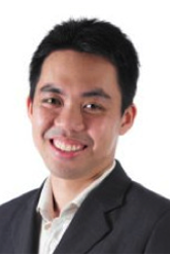 Clive then went on to co-establish a private investment company, 8 Investment Pte Ltd and is dedicated to share his investment knowledge with the public so that they can benefit from it. He believes that the average wage earner on the street can invest wisely and achieve financial freedom.